We have a good number of arithmetic slates in our collection, but I was surprised this morning as I scanned through our database that I haven’t written about the Cubarithm yet. The Cubarithm was originally introduced by Oury in France around 1886. It is a grid, like a lot of the arithmetic slates. This one is 16 x 16. 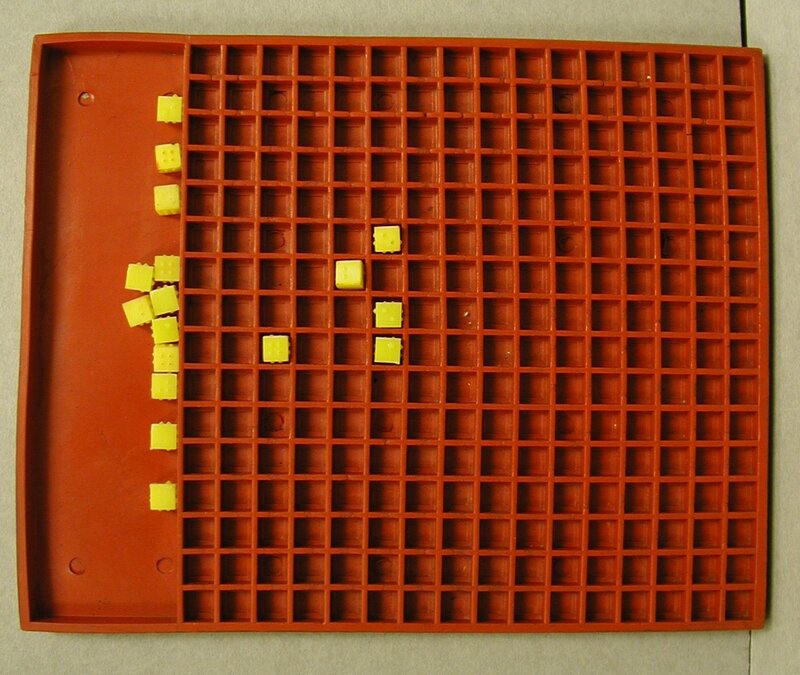 Cubes with braille characters on each side are stored in a tray on one end. By turning the cubes in different directions, you get all the symbols you need to represent numbers and operators, and the grid lets you position them in columns just as a sighted person might work a math problem on paper. In literary braille, you use a special symbol to tell you that a character is a number and not a letter, but that is dispensed with here. If you find a symbol on a cubarithm, you assume it is a number. APH introduced its own version of the cubarithm arithmetic frame in 1953. 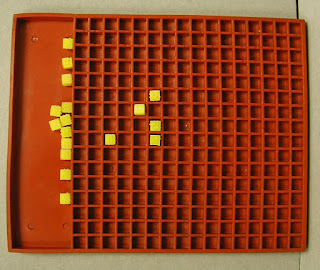 It was made of a pliable red rubber and the cubes were hard yellow plastic. We discontinued this model in 1972 but continue to sell a different design, the Brannan Cubarithm, to this day.